We receive many enquiries from organisations that need to develop embedded systems in compliance with international safety standard IEC 61508 (‘SIL 3’). 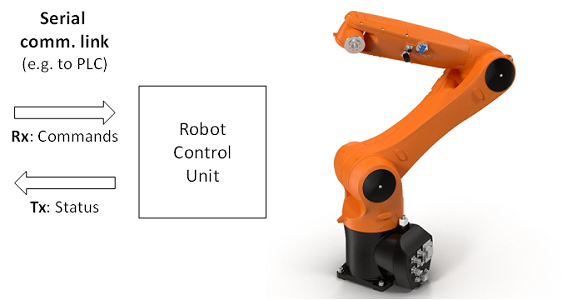 As an example of the type of design solution that we use in such products, we explore the development of a controller for an industrial robot on this page. Our solution is based on a ‘Time Triggered‘ (TT) software architecture and two low-cost microcontrollers. 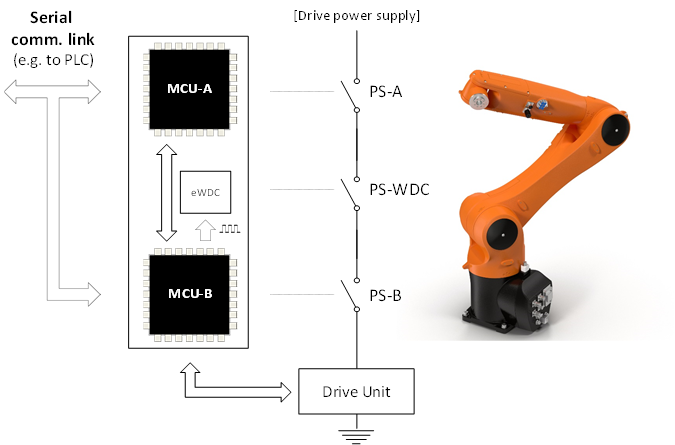 This design example considers a controller for an industrial robot. if the RCU cannot operate in compliance with the commands, it shall ensure that the robot enters a ‘fail safe’ state. 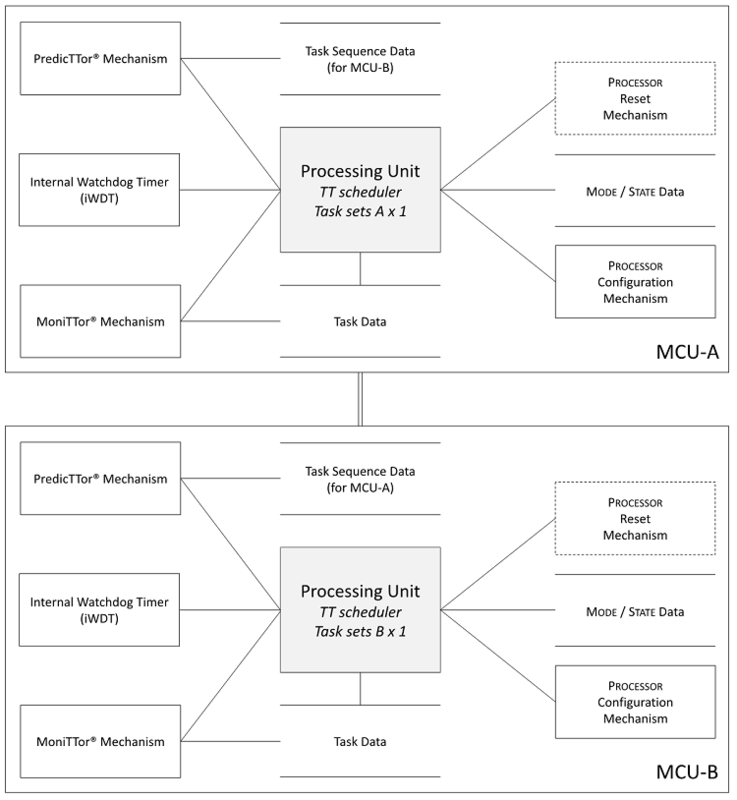 It is assumed that this system is to be developed in compliance with international standard IEC 61508. In addition to these general considerations, ‘Hardware Fault Tolerance’ (HFT) is a key consideration in many IEC 61508 designs. When HFT = 0, this means that there is only a single processing path available. If this path fails, it may be challenging to: [i] detect this failure; and [ii] ensure that the system can enter an appropriate ‘Fail-Safe State’. When HFT = 1, this means that there is a second (independent) processing path available: if one processing path fails, the second processing path is intended to be able to both detect this failure and act appropriately (typically by forcing the system into an appropriate Fail-Safe State). 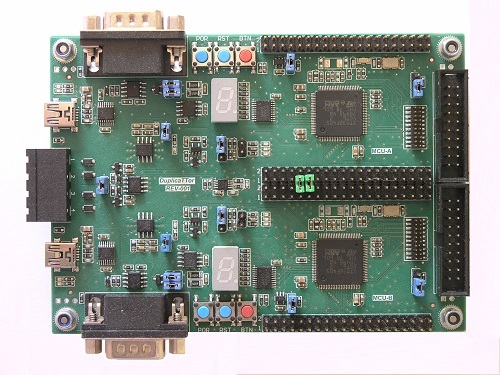 To achieve compliance with IEC 61508 at ‘SIL 3’ level, many designs employ an HFT of 1. Use of TT architectures provides an excellent way of meeting ‘HFT = 1’ requirements. It is assumed that it has been determined that the RCU must be developed in compliance with IEC 61508 at ‘SIL 3’, using an architecture with HFT of 1. The design will be based on a ‘DuplicaTTor’ (TT) software platform, as illustrated below. if problems are detected in any of the control or monitoring operations, the RCU will ensure that at least one of the power switches (PS-A, PS-B, PW-eWDC) is opened, thereby disabling the drive unit and causing the robot to stop in what is assumed to be a fail-safe state. If required, this design could be prototyped on a DuplicaTTor Evaluation Board. As outlined above, this design involves receipt of commands over a serial link. Many control systems take this form (for example in medical systems, aerospace systems, automotive systems, …). For example, a braking unit in a passenger car might employ a similar architecture. The design example presented on this page is based on a SafeTTy Solutions™ Package (SSP-RTL4).